Home » File Extension - What is .CPI file in AVCHD file system for? How to open .CPI on Windows and Mac? “Hi, I just purchased Pavtube MTS-M2TS Converter in order to transfer my camcorder files to another usable file on my Mac. I have a Sony HDR-XR500 that appears to have raw files of .CPI. CPI files are commonly found in the AVCHD/BDMV/CLIPINF directory of HD digital video recording media. This picture is based on actual directory structure from Canon and Panasonic camcorders, and you can see that the xxxxx.CPI files are saved under Root/PRIVATE/AVCHD/BDMV/CLIPINF. What does .CPI file extension stands for? File extension CPI is AVCHD Video Clip Information File. 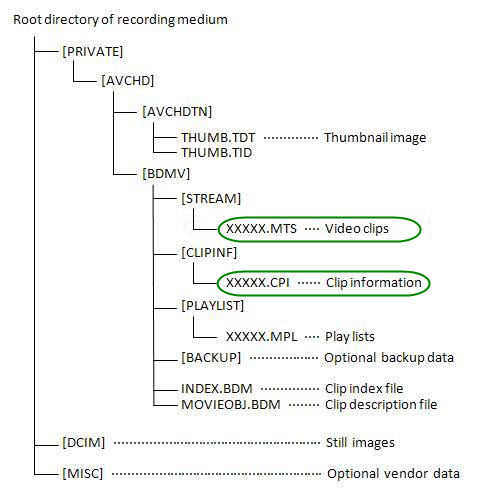 The AVCHD directory contains a folder for clipinfo which contains one .cpi file for each .mts file in the stream folder. cpi (clip info) contains various contains metadata describing an AVCHD video stream, such as the frame rate, frames per second, and aspect ratio. The video and audio is stored in the mts/m2ts (Transport Stream) files. Is there anything value with .CPI files? The .CPI files are used to describe .MTS video streams. It's only necessary if you plan on playing back directly from the cam, burning BD for playback, or transferring directly to disk. Note that it also requires .cpi files to log and transfer AVCHD to Final Cut Pro and iMovie, because both import AVCHD structure instead of single .mts/.m2ts files. How to open .CPI files on Windows and Mac? Adobe Premiere Elements 10, Adobe Premiere Pro CS6 and Roxio Creator are available for both Windows and Mac to open .cpi files. 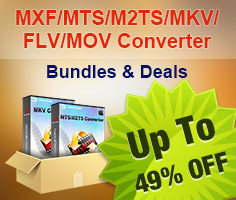 Does Pavtube MTS/M2TS Converter need .CPI files to open .mts/.m2ts videos? No. Unlike Final Cut Pro and iMovie, the Pavtube MTS/M2TS Converter for Mac reads single AVCHD .mts and .m2ts files and exports the AVCHD contents to playable and editable videos on Mac. The software features best intermediate codec for editing software and H.264 output presets for iOS devices.